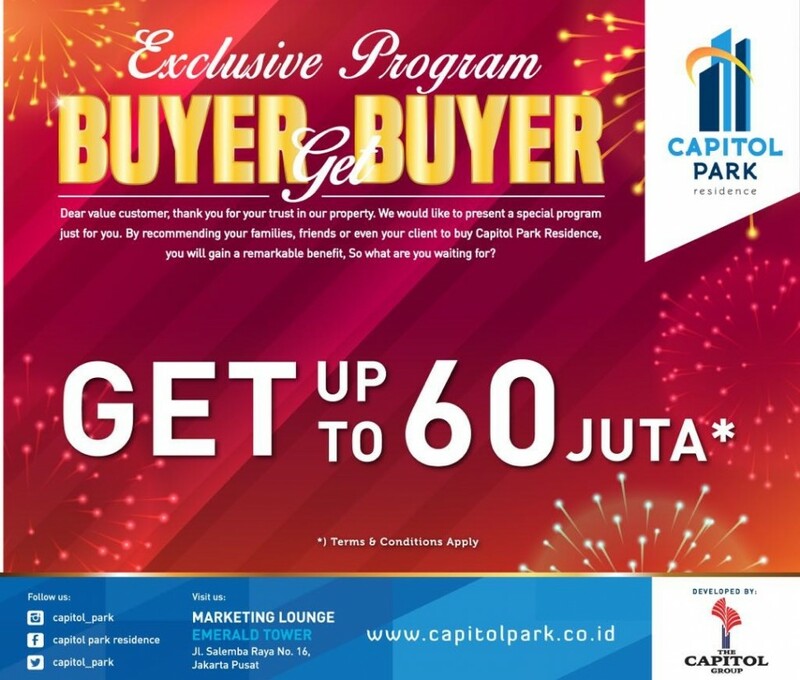 Bring your friends and families for referral and get Bonus Up To 60 million*. 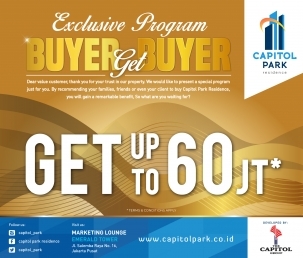 Buy your own unit, Capitol Park Apartemen di Menteng. 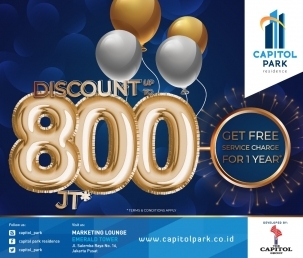 Welcoming April at Capitol Park Residence! 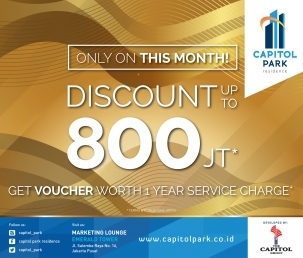 Enjoy yourself DISC UP TO 800 MILLION* and GET VOUCHER WORTH OF 1 YEAR SERVICE CHARGE. 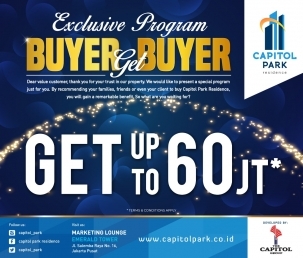 Have you join our Buyer Get Buyer Program? Enjoy BONUS UP TO 60 MILLION* on this April just by referring your family members or friends. Do you want to get BONUS UP TO 60 million? Please come to Capitol Park Residence and don’t forget to bring your family members, friends or collegues. Jl. Salemba Raya No.16 Jakarta Pusat 10430. Copyright ©2016. Capitol Park Residence. All Rights Reserved.